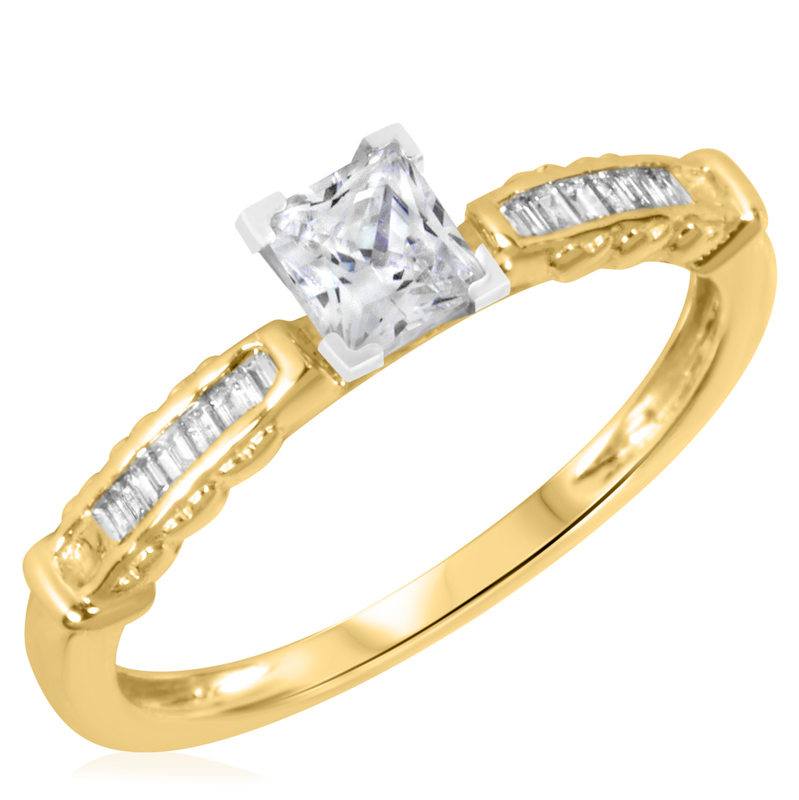 This 1/4 CT. T.W. 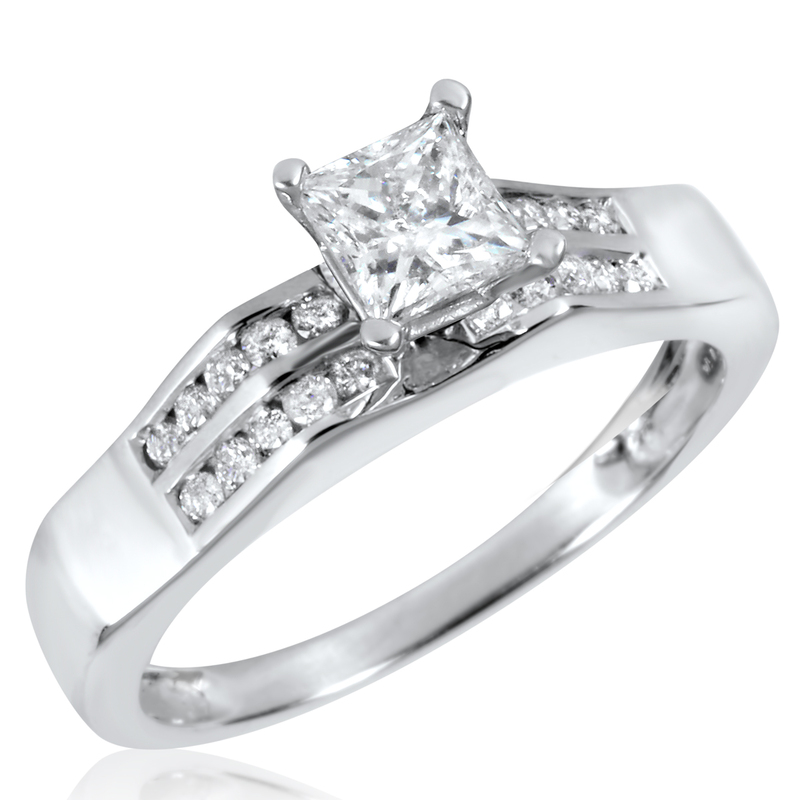 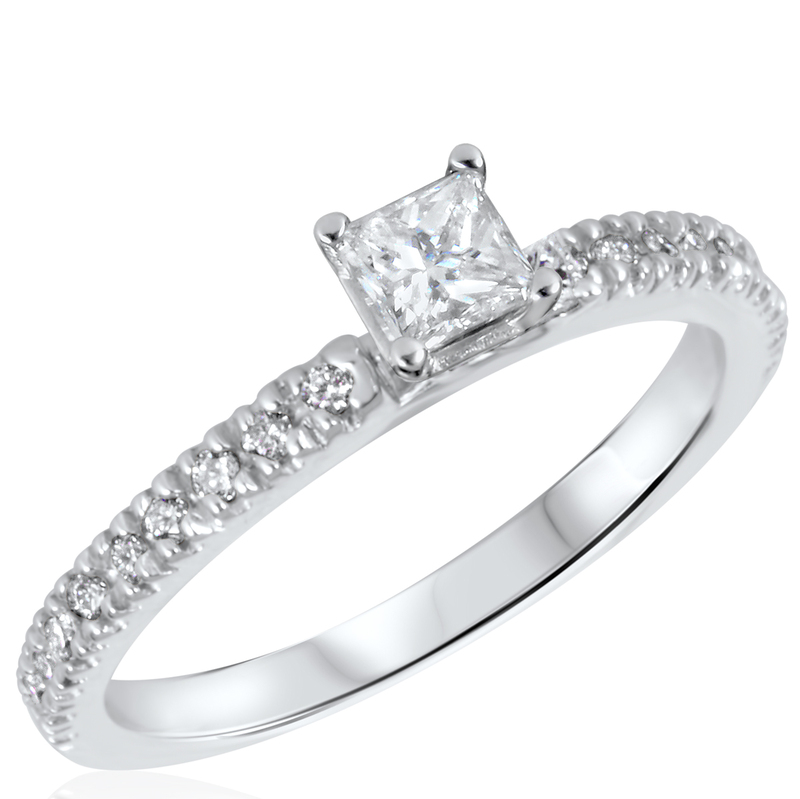 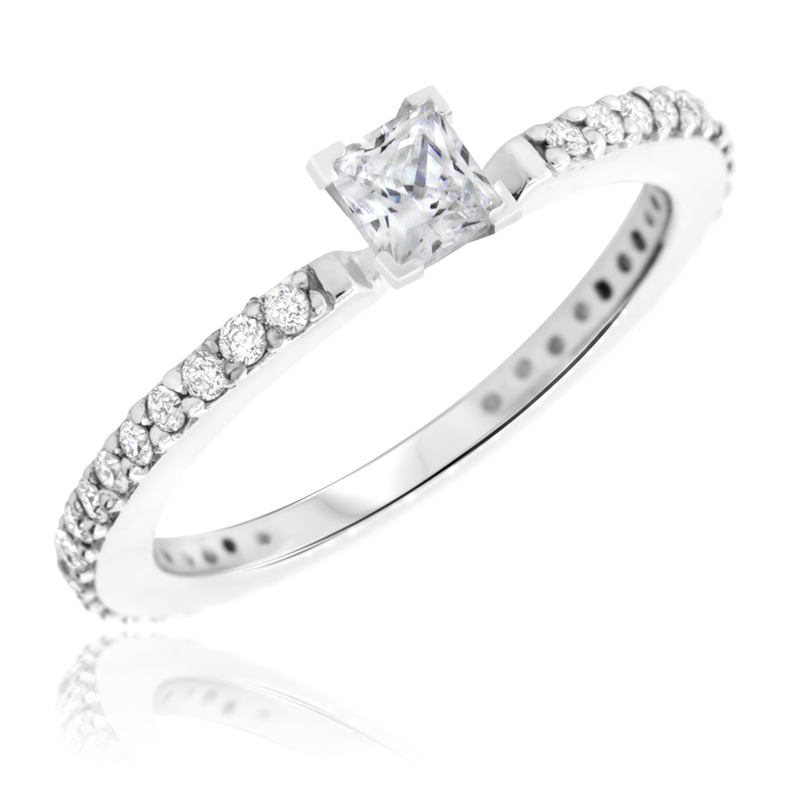 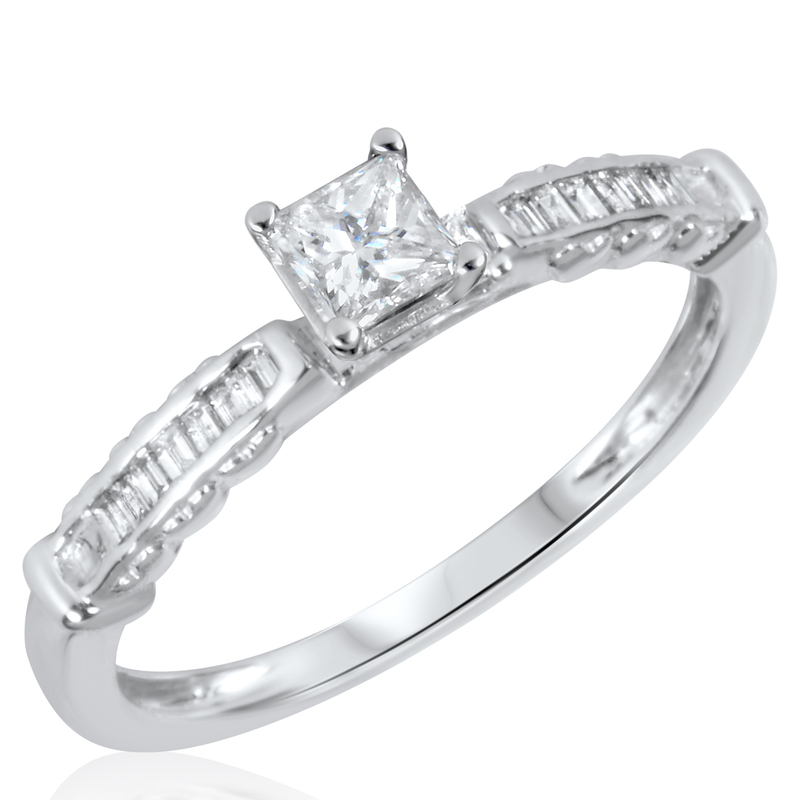 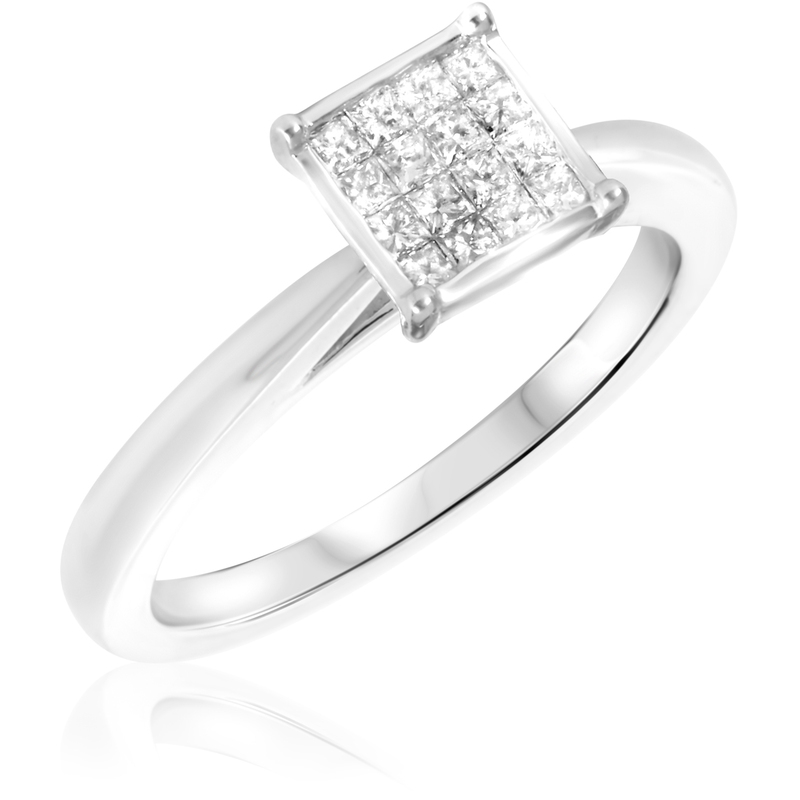 Diamond Ladies Engagement Ring is made in 10K White Gold and has 4 Princess, Round cut natural, conflict free diamonds.Authentic Diamond and Gold Ladies Engagement Ring with conflict-free diamondsGold:White 10KRing Width (MM):1.73Number of Diamonds:4Total Diamond Weight (cts):1/4Diamond Quality:I1-I2Diamond Color:H-IDiamond Cut:Princess-shapeSetting Type:Prongs, Side-stoneStyle Number:BT324W10KE-C0018. 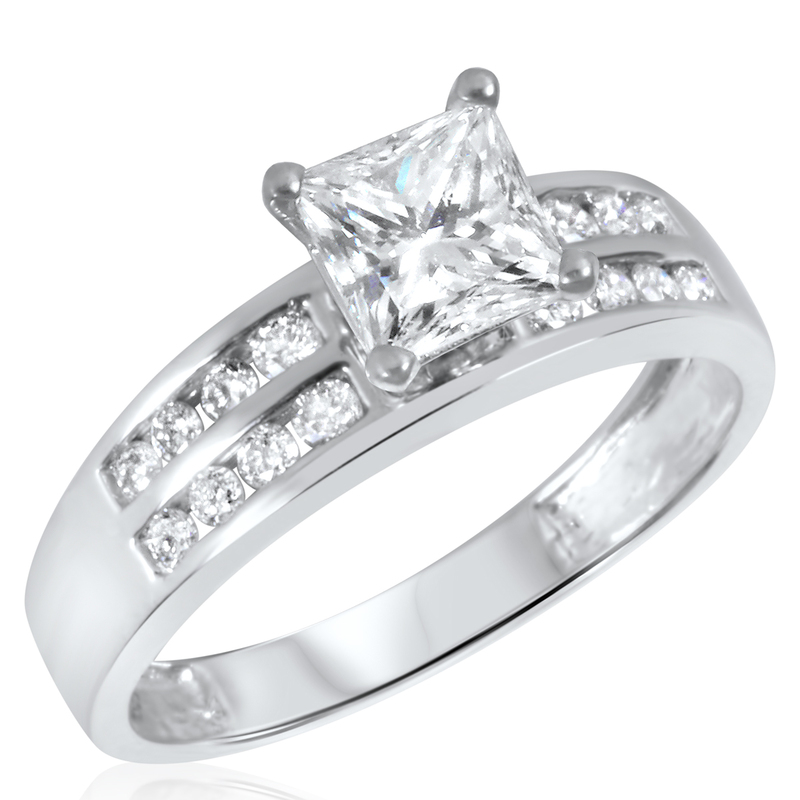 This 1/2 CT. T.W. Diamond Ladies Engagement Ring is made in 10K Yellow Gold and has 35 Princess, Round cut natural, conflict free diamonds.Authentic Diamond and Gold Ladies Engagement Ring with conflict-free diamondsGold:Yellow 10KRing Width (MM):1.62Number of Diamonds:35Total Diamond Weight (cts):1/2Diamond Quality:I1-I2Diamond Color:H-IDiamond Cut:Princess-shapeSetting Type:Solitaire, Prongs, Side-stoneStyle Number:BT320Y10KE-P0338. This 3/8 CT. T.W. 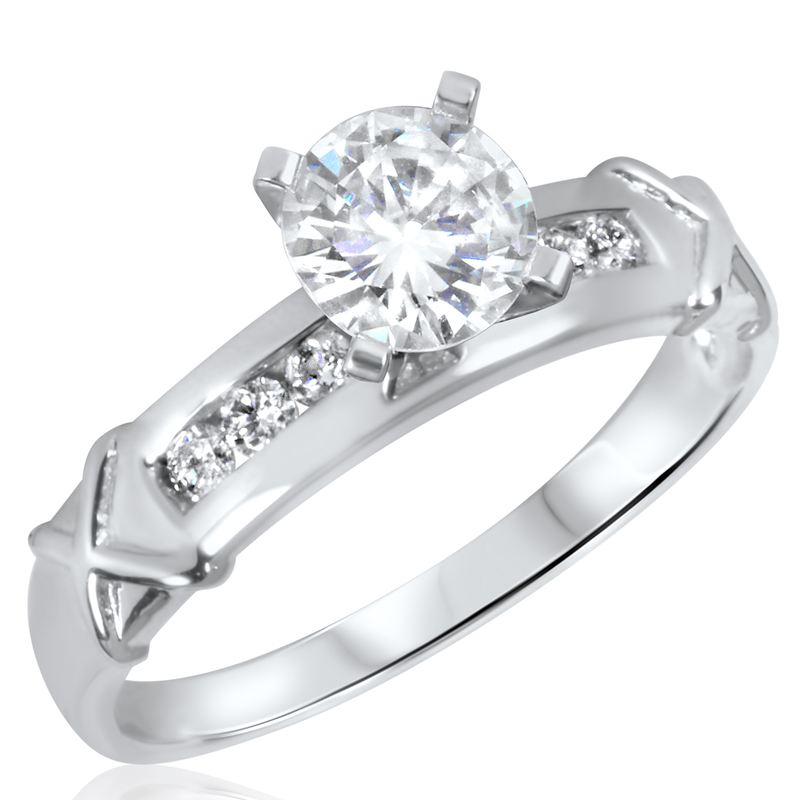 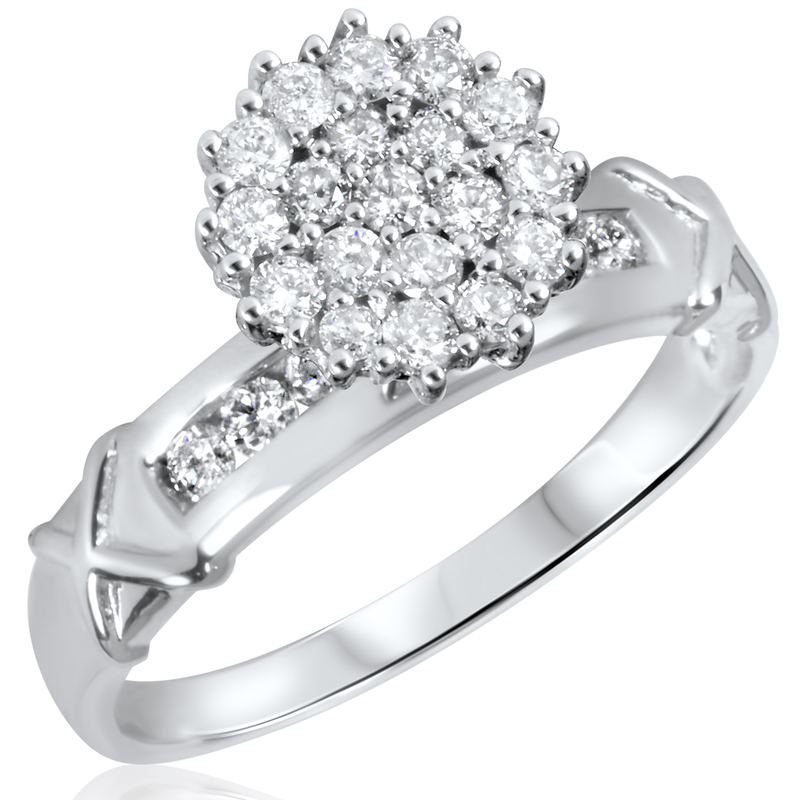 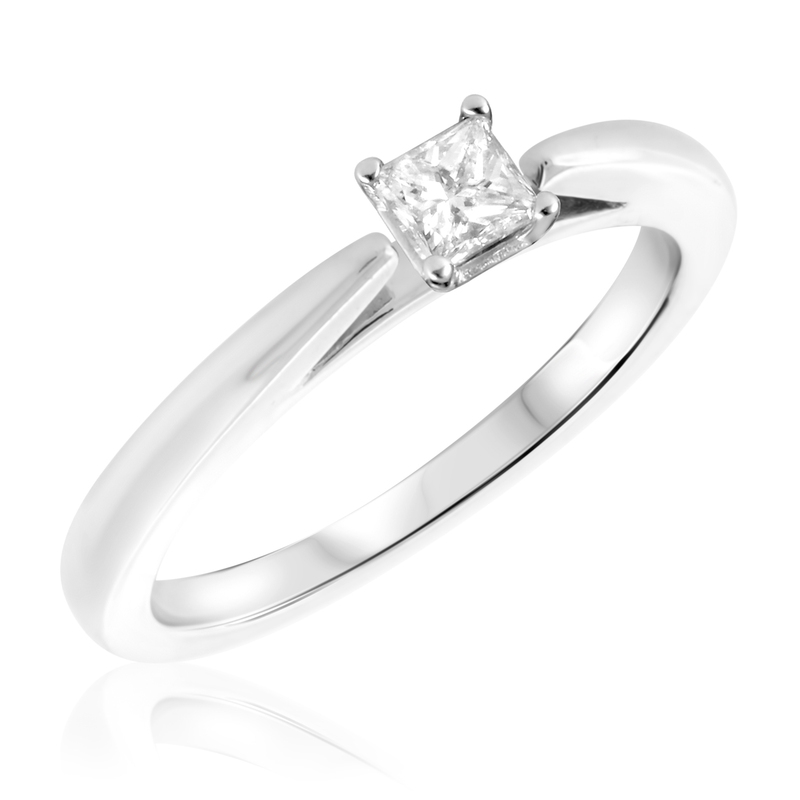 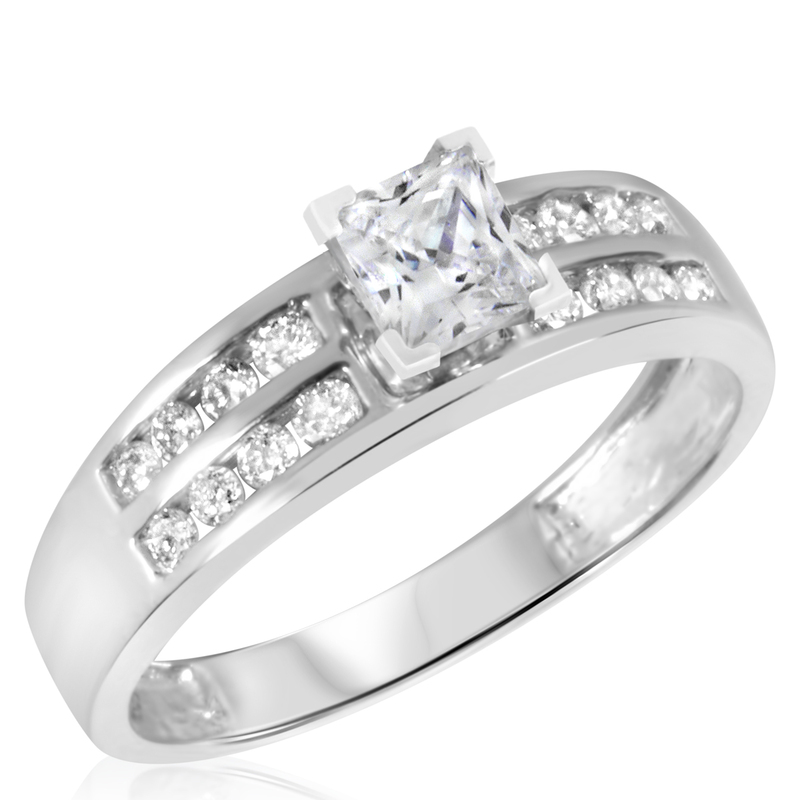 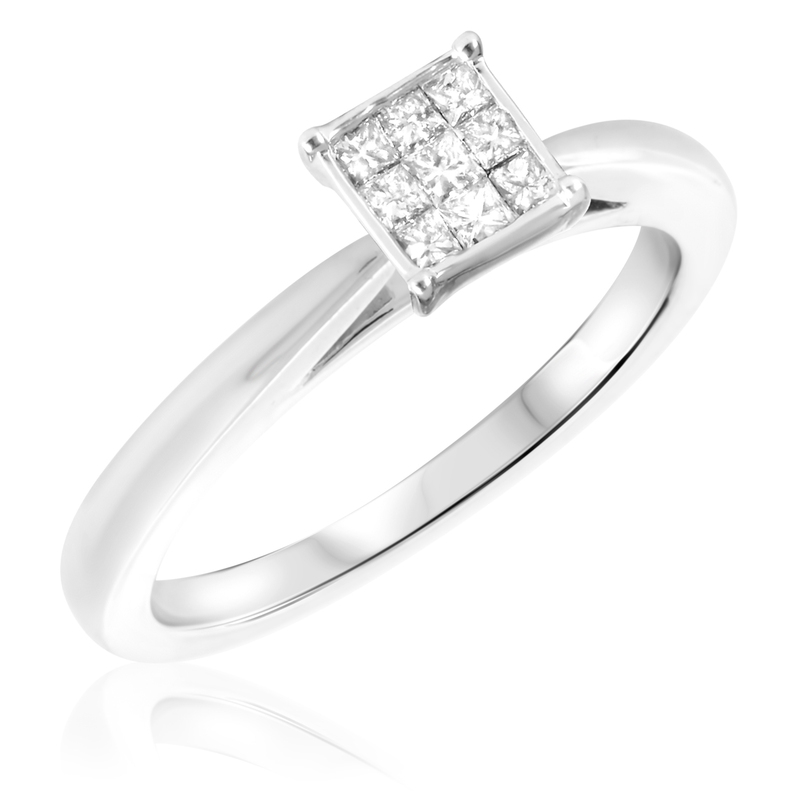 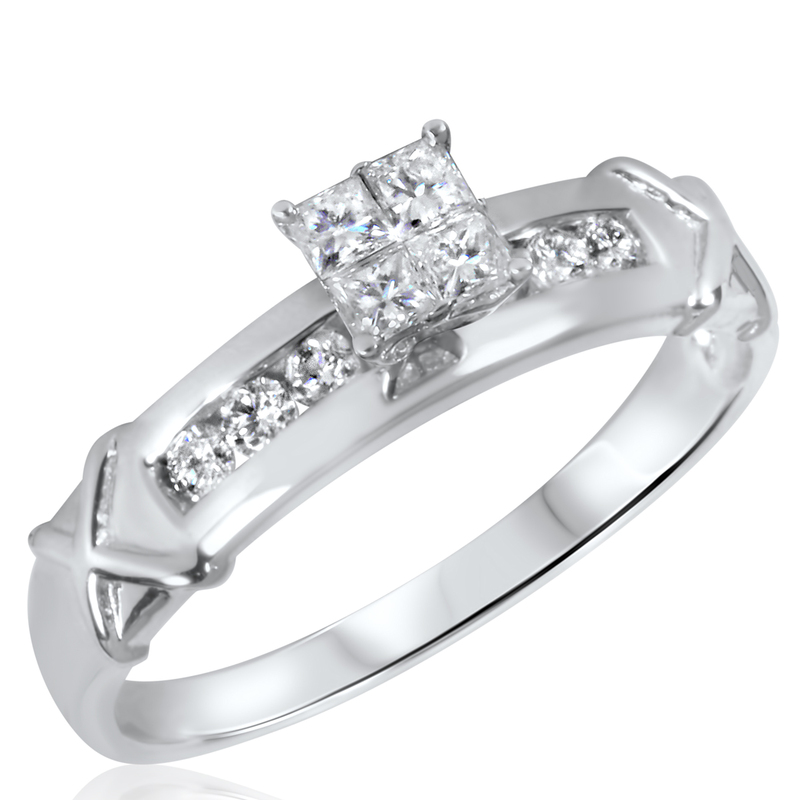 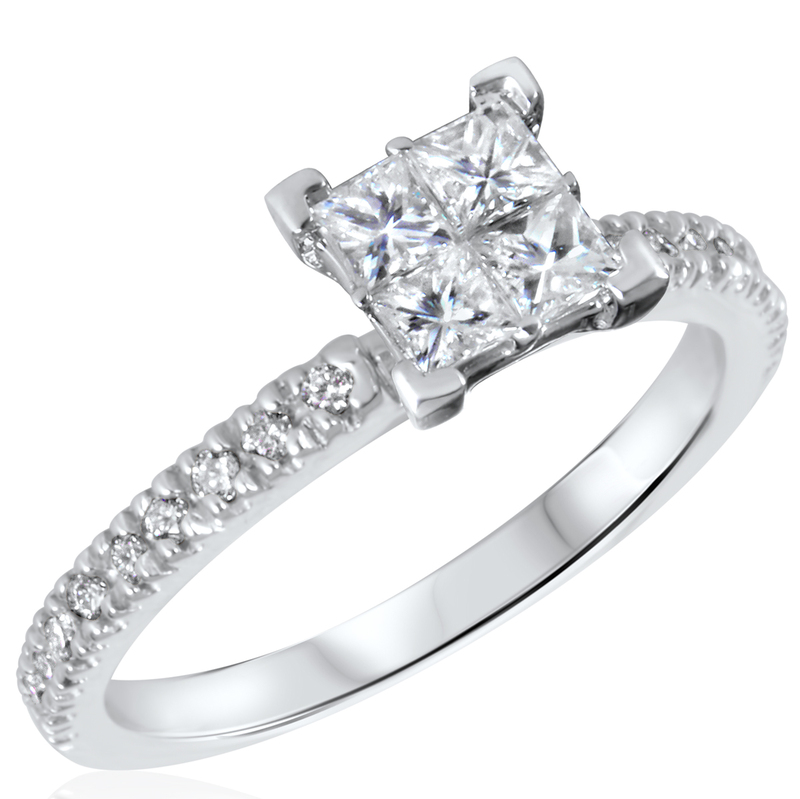 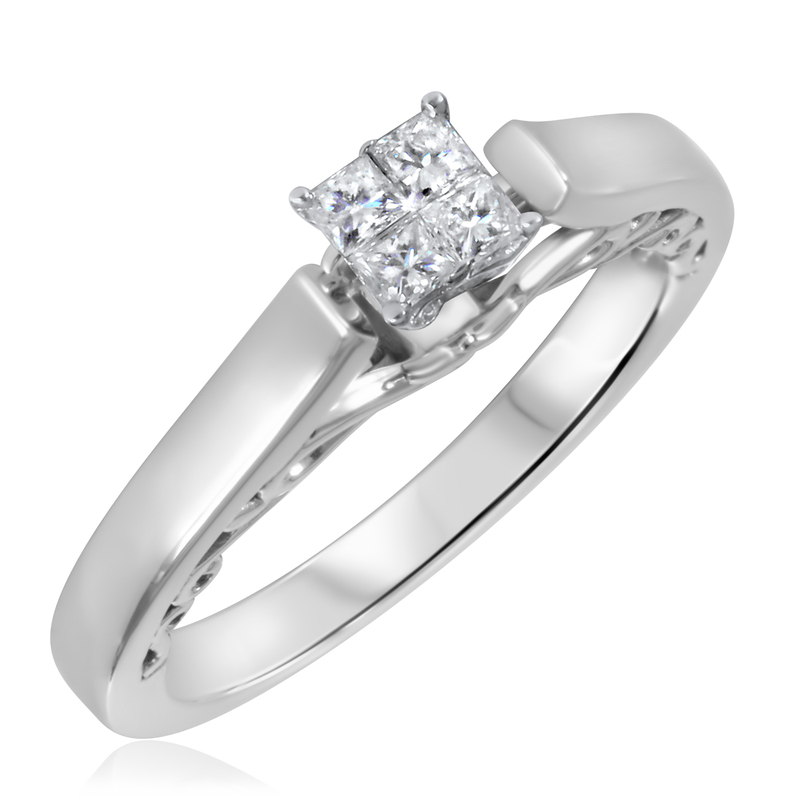 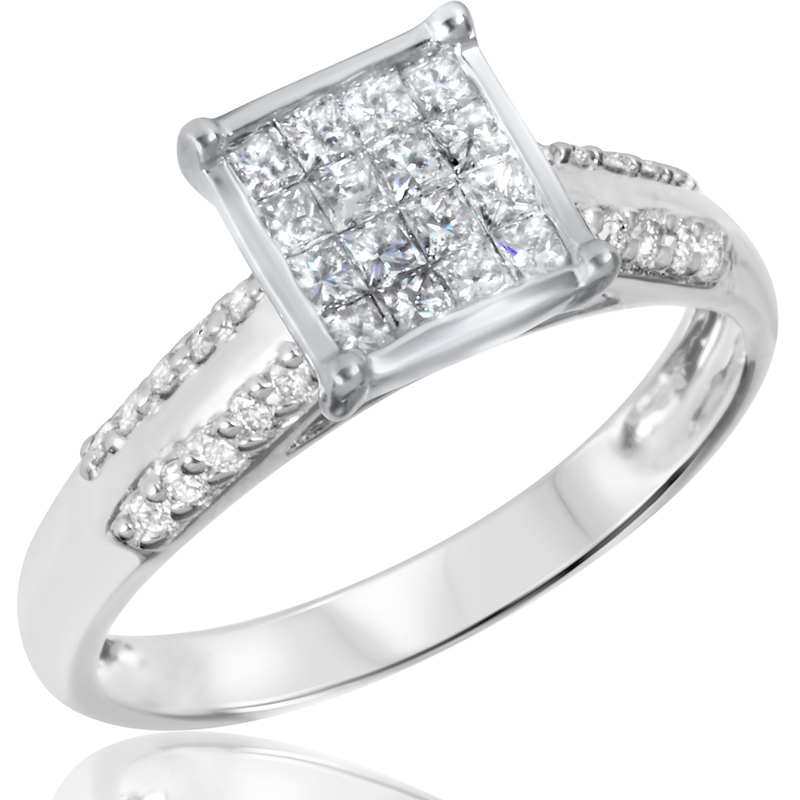 Diamond Ladies Engagement Ring is made in 14K White Gold and has 21 Round cut natural, conflict free diamonds.Authentic Diamond and Gold Ladies Engagement Ring with conflict-free diamondsGold:White 14KRing Width (MM):4.68Number of Diamonds:21Total Diamond Weight (cts):3/8Diamond Quality:I1-I2Diamond Color:H-IDiamond Cut:Round-brilliant-shapeSetting Type:Channel, Invisible, Side-stoneStyle Number:BT110W14KE-C0128. This 2/3 CT. T.W. 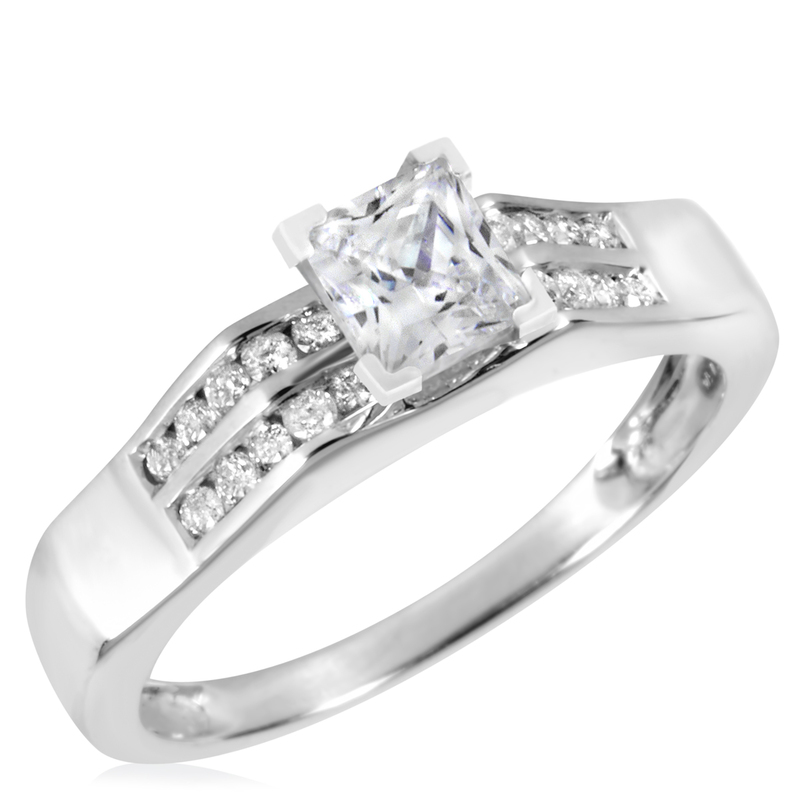 Diamond Ladies Engagement Ring is made in 10K White Gold and has 17 Round cut natural, conflict free diamonds.Authentic Diamond and Gold Ladies Engagement Ring with conflict-free diamondsGold:White 10KRing Width (MM):5.2Number of Diamonds:17Total Diamond Weight (cts):2/3Diamond Quality:I1-I2Diamond Color:G-HDiamond Cut:Round-brilliant-shapeSetting Type:Solitaire, Prongs, Side-stoneStyle Number:BT500W10KE-R0338. This 1/2 CT. T.W. Diamond Ladies Engagement Ring is made in 14K Yellow Gold and has 13 Round, Baguette cut natural, conflict free diamonds.Authentic Diamond and Gold Ladies Engagement Ring with conflict-free diamondsGold:Yellow 14KRing Width (MM):3.48Number of Diamonds:13Total Diamond Weight (cts):1/2Diamond Quality:I1-I2Diamond Color:H-IDiamond Cut:Round-brilliant-shapeSetting Type:Solitaire, Channel, Invisible, Side-stoneStyle Number:BT129Y14KE-R0338. This 5/8 CT. T.W. 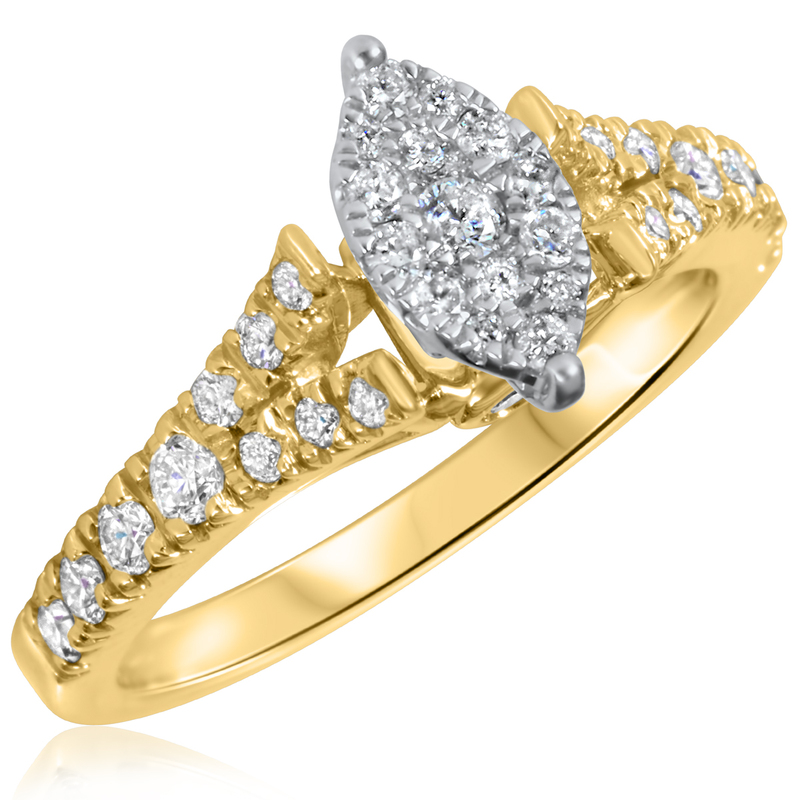 Diamond Ladies Engagement Ring is made in 10K Yellow Gold and has 36 Princess, Round cut natural, conflict free diamonds.Authentic Diamond and Gold Ladies Engagement Ring with conflict-free diamondsGold:Yellow 10KRing Width (MM):2.1Number of Diamonds:36Total Diamond Weight (cts):5/8Diamond Quality:I1-I2Diamond Color:G-HDiamond Cut:Princess-shapeSetting Type:Prongs, Side-stoneStyle Number:BT317Y10KE-C0048. 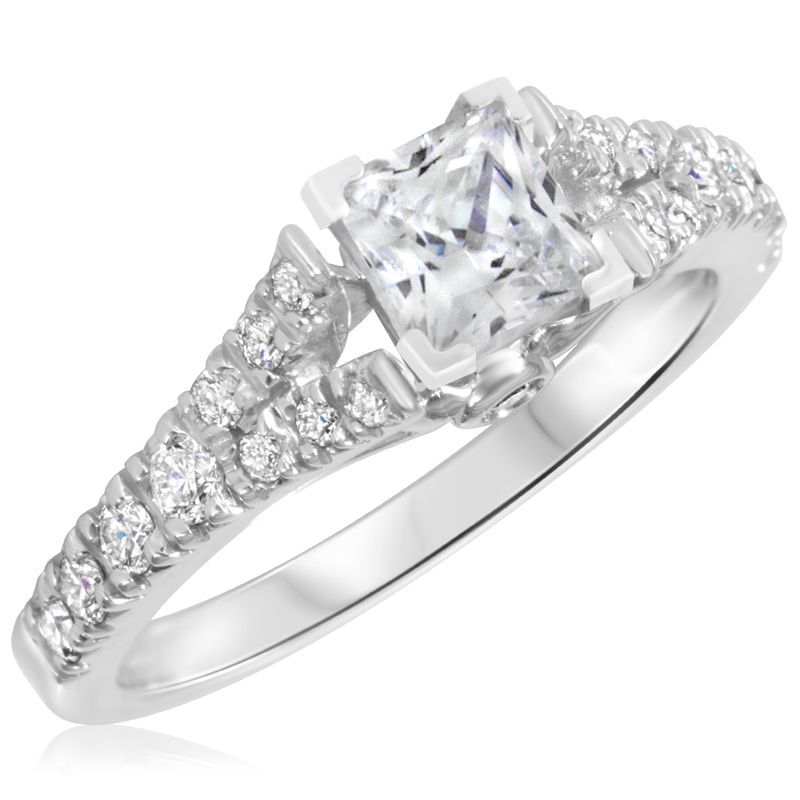 This 3/4 CT. T.W. 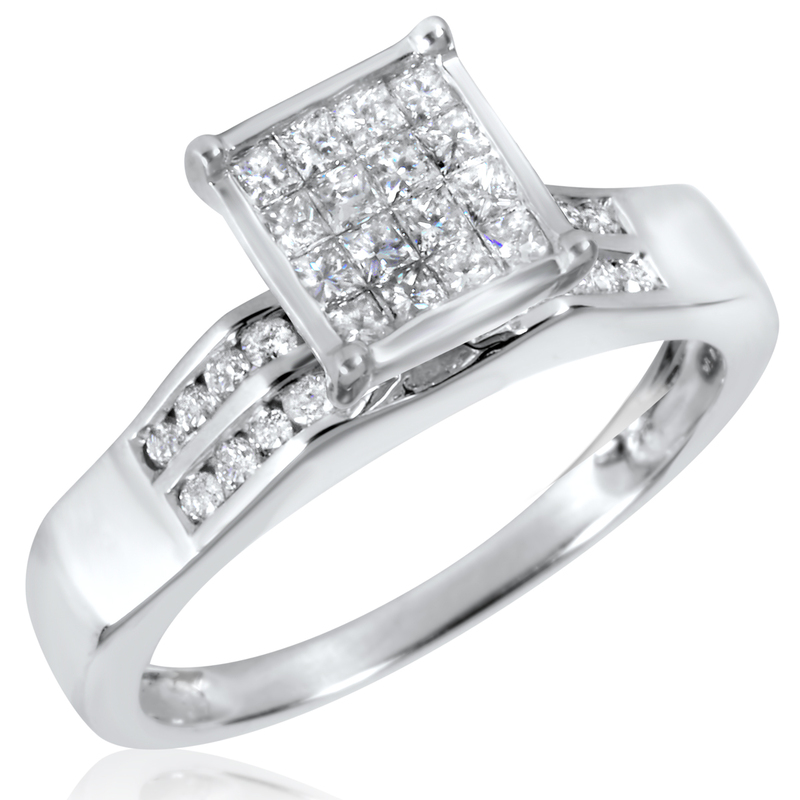 Diamond Ladies Engagement Ring is made in 14K White Gold and has 21 Princess, Round cut natural, conflict free diamonds.Authentic Diamond and Gold Ladies Engagement Ring with conflict-free diamondsGold:White 14KRing Width (MM):4.69Number of Diamonds:21Total Diamond Weight (cts):3/4Diamond Quality:I1-I2Diamond Color:H-IDiamond Cut:Princess-shapeSetting Type:Solitaire, Channel, Invisible, Side-stoneStyle Number:BT111W14KE-P0508. This 7/8 CT. T.W. 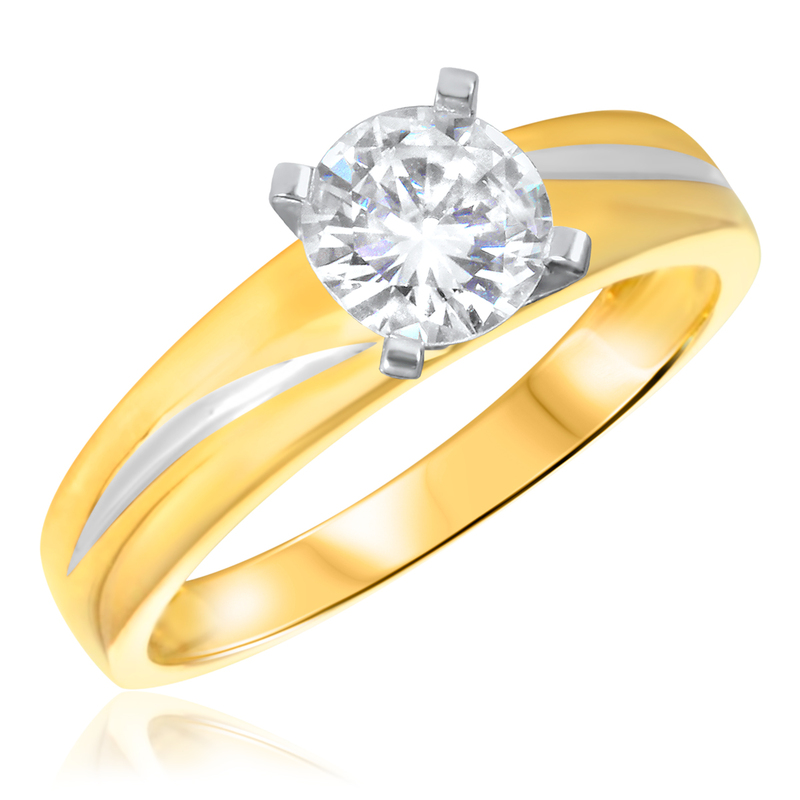 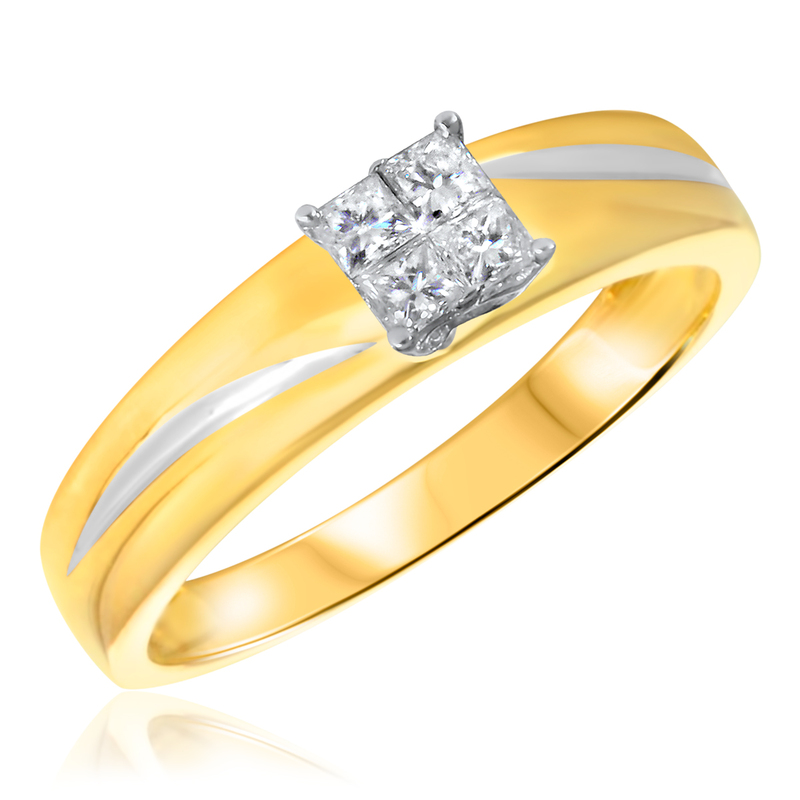 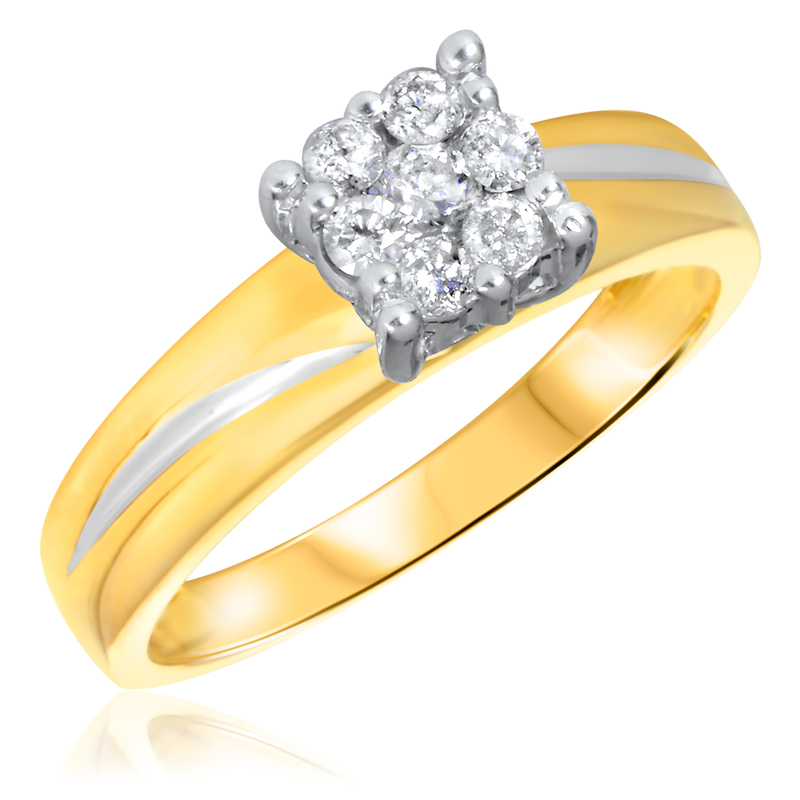 Diamond Ladies Engagement Ring is made in 10K Yellow Gold and has 35 Round cut natural, conflict free diamonds.Authentic Diamond and Gold Ladies Engagement Ring with conflict-free diamondsGold:Yellow 10KRing Width (MM):1.91Number of Diamonds:35Total Diamond Weight (cts):7/8Diamond Quality:I1-I2Diamond Color:G-HDiamond Cut:Round-brilliant-shapeSetting Type:Prongs, Side-stoneStyle Number:BT707Y10KE-C0118. This 7/8 CT. T.W. 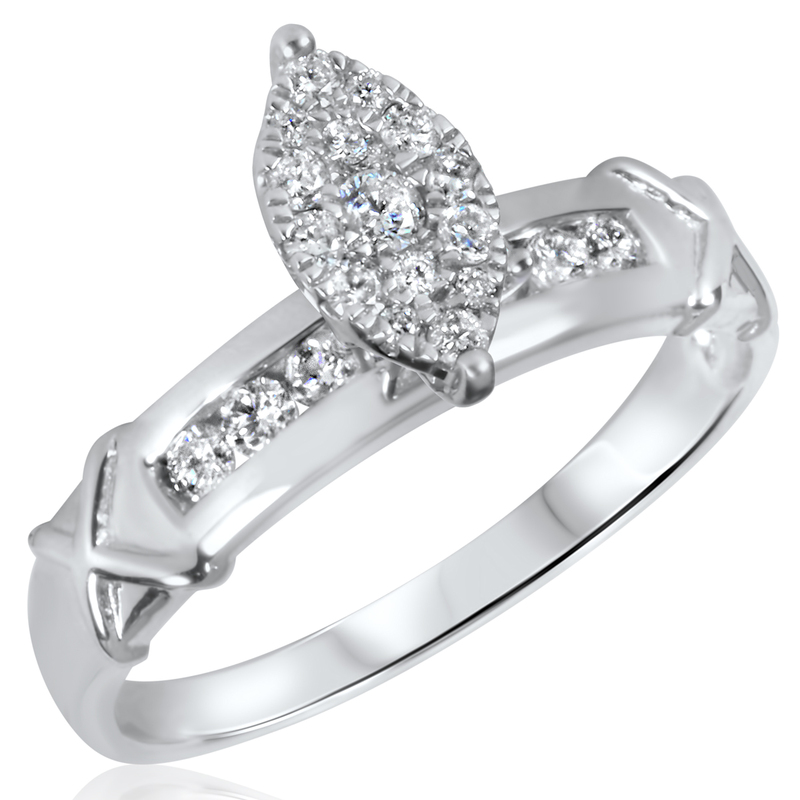 Diamond Ladies Engagement Ring is made in 10K White Gold and has 27 Round cut natural, conflict free diamonds.Authentic Diamond and Gold Ladies Engagement Ring with conflict-free diamondsGold:White 10KRing Width (MM):2.1Number of Diamonds:27Total Diamond Weight (cts):7/8Diamond Quality:I1-I2Diamond Color:G-HDiamond Cut:Round-brilliant-shapeSetting Type:Prongs, Side-stoneStyle Number:BT317W10KE-C0078. This 1/4 CT. T.W. 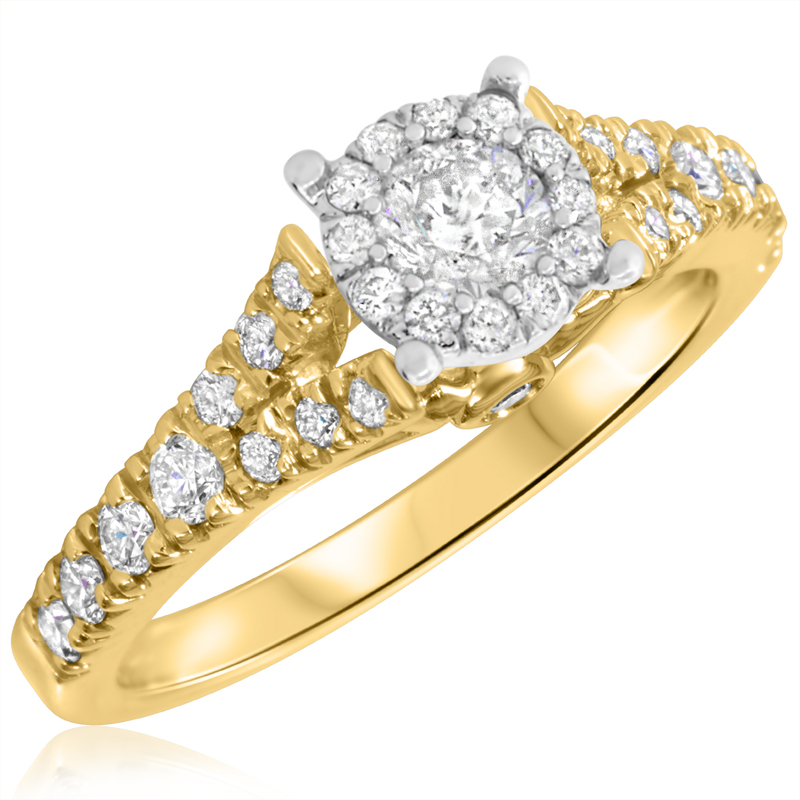 Diamond Ladies Engagement Ring is made in 14K Yellow Gold and has 4 Princess, Round cut natural, conflict free diamonds.Authentic Diamond and Gold Ladies Engagement Ring with conflict-free diamondsGold:Yellow 14KRing Width (MM):4.6Number of Diamonds:4Total Diamond Weight (cts):1/4Diamond Quality:I1-I2Diamond Color:G-HDiamond Cut:Princess-shapeSetting Type:Prongs, ChannelStyle Number:BT539Y14KE-C0018.